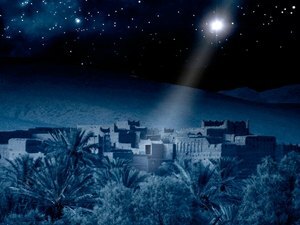 “Our God who breathes stars in the dark–He breathes Bethlehem’s Star, then takes on lungs and breathes in stable air. We are saved from hopelessness because God came with infant fists and opened wide His hand to take the iron-sharp edge of our sins.” Ann Voskamp (138). First there was the oppression of Egypt, then the captivity of Babylon, then the occupation of Rome. For quite some time, Israel had been imagining a conquering Messiah. Perhaps on that silent night before the angels’ announcement, the shepherds were dreaming of the day when they would be free from Roman rule. The magi–scholars debate where they came from–were religious. They came to worship. But they may have also had a political motive. They came seeking the new King. They brought gifts befitting a king who may someday want to conquer. They did find the One to worship. They gave their gifts. Returned home. And we never heard from them again. I wonder. Did they expect to meet a humble king in a humble home? How could they know what to expect of His Kingdom? The song asks “Mary, Did You Know?” Were there moments when she wondered when she would wake up from this strange dream? But it wasn’t a dream. It was that He would turn water into wine at her request. He would, as the song says, walk on water, give sight to the blind, still a storm, and raise the dead. How could she know what to expect from His life? Simeon had a glimpse at least of what was ahead. But perhaps even he did not understand that Christ’s incarnation was not to be political. From Voskamp: “The Light never comes how you expect it. It comes as the unlikely and unexpected” (139). Ace Collins writes, “Christ was the king who came not to take, but to give” (101). In the ancient world, that concept may have been the most unexpected of all. A King who would utterly give Himself rather than extracting tribute. A King who would suffer on behalf of His servants. He takes us beyond expectation. We bring our expectations to our daily lives. We bring them to our churches every week. Reaching beyond expectation to ministry with other Christ followers opens doors of fellowship. Reaching beyond the expectation of the manger takes us to the love of the cross.